Crews arrived on scene to find smoke coming from the 1st floor of the building. 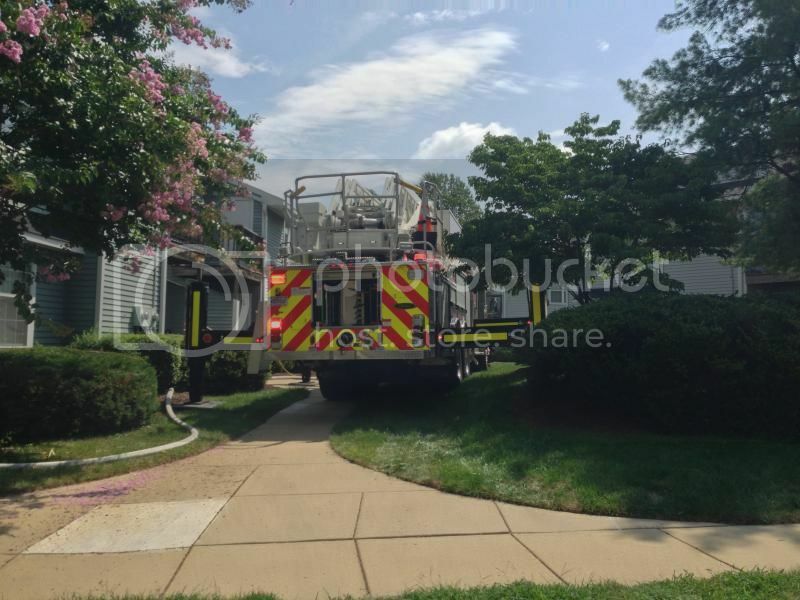 At 1120 hours on 8/9/13, Local F-273 units were alerted to respond to a reported building fire on the 8700 block of Beekman road in the Woodlawn section of Fairfax County. 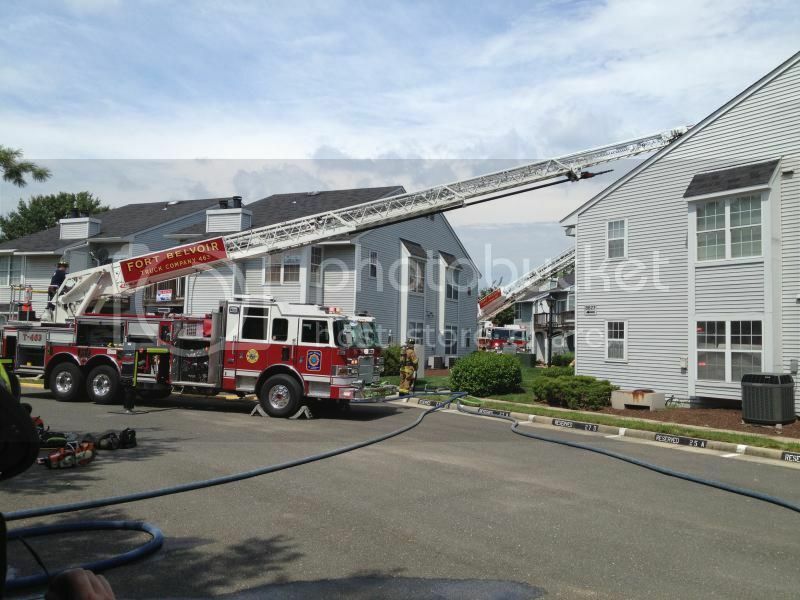 Engine 464 was first arriving and reported a two story wood frame townhouse with smoke showing from a window on Side “B”. E464’s crew stretched the 400’ preconnect to the front door and made entry, finding fire in 2 bedrooms. Engine 465 arrived 2ndand stretched a secondary line to the door. Truck 463 arrived as 1stdue truck and conducted the primary search and laddered the building. 3rddue Engine 463 positioned on Side “C” and stretched their 400’ preconnect to the rear and assisted Rescue 419 with suppression. Tower 464 arrived as 2nddue truck with the Side “C” positioning and laddered the rear of the building. Engine 409 had the RIT. Crews worked together and made a quick knock, and the assignment was scaled back to 2 & 1 after opening up to check for extension. 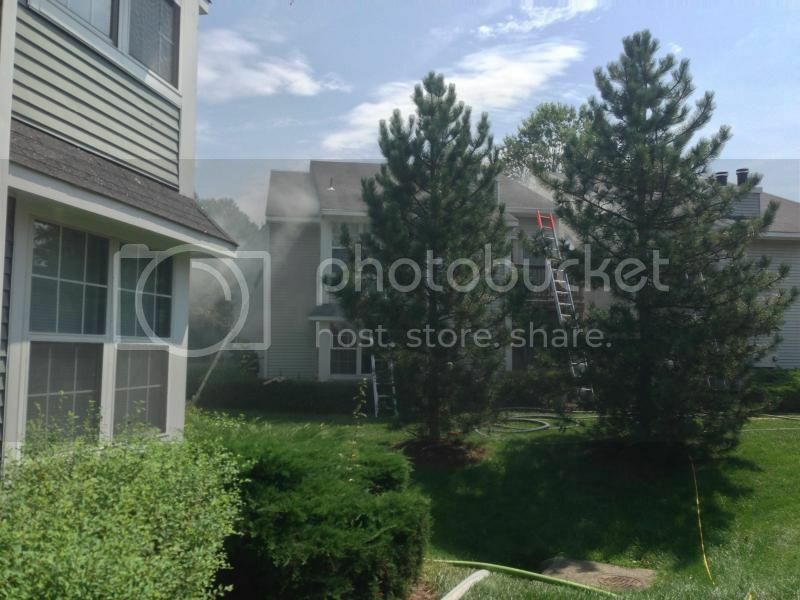 No injuries were reported, and the scene was turned over to the Fairfax County Fire & Rescue Fire Investigators. Crews from T463 & TL464 provide egress ladders on all sides of the building. T463 with the 1st due Side "A" positioning. TL464 with the 2nd due Side "C" positioning.